Monica Neagoy, international consultant and popular keynote speaker, has a passion for mathematics. The facets of her 25-year mathematics career include teacher professional development, math specialist training, national/international conference speeches, live television courses, video creation and hosting, and live shows including her popular MathMagic show. Whether here or abroad, whether speaking English, French, or Spanish, Monica’s life-long goal is to infuse people with a fascination for the wonder of mathematics. Dr. Neagoy began her career teaching mathematics at Georgetown University. Later, she was a program director at the National Science Foundation (NSF), where she oversaw national projects. As an independent national mathematics consultant, she has served numerous school districts across the country and notable organizations including the Carnegie Institution of Washington, PBS TeacherLine, MATHCOUNTS, and the American Association for the Advancement of Science. Since 2005, she broadened her mathematics consulting to serve Europe, the Middle East, and Africa, in addition to the United States. Dr. Neagoy has had a parallel career in theatre as actor, choreographer, and stage-director, particularly with the professional LE NEON Theatre in the Washington, D.C. area. 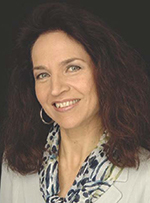 Her exposure to many cultures, mastery of several languages, double career in the arts and the sciences, and mindfulness training through yoga practice and teaching provide her with a unique perspective on the learning and teaching of mathematics. Her passions for mathematics and the arts converge in her popular presentation, "The Mathematics of Beauty and the Beauty of Mathematics." Dr. Neagoy combined her love for the arts and the sciences in the creation of innovative mathematics videos series for teachers and students, including Discovering Algebra with Graphing Calculators (Discovery Education), Algebra Nspirations (Media4Math), and Video #7 of Mathematics: What's the Big Idea? titled “Algebra: It Begins in Kindergarten” (Annenberg Learner). Monica was educated in the French school system, grades 1–12, in Asia and the United States. She has a BS in mathematics and philosophy from Georgetown University, an MA in pure mathematics from Catholic University, and a PhD in mathematics education from the University of Maryland.